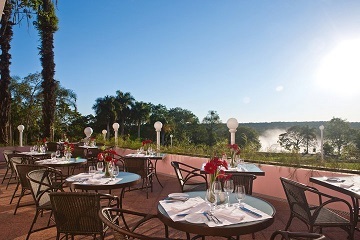 Take a seat inside the restaurant or request a table on the varanda and dine in glorious natural surroundings, overlooking the lush hotel grounds that stretch all the way to the falls. Simplesmente uma experiência gastronômica incrível, tudo perfeito, da entrada até a sobremesa. 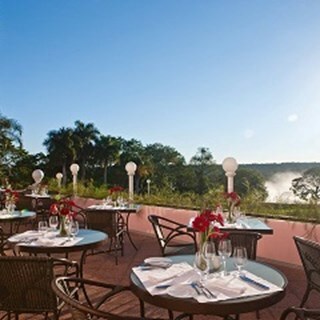 I ate at Itaipu both nights I was in Iguaçu Falls. Both meals I had were delicious. First night I had the chef recommended fish dish (local white fish); second night had the salmon. I would definitely recommend to anyone wanting delicious food, great service & atmosphere! The food is deliciously prepared. I had the chef recommended dish for the evening, a white fish from the Amazin pan seared. The second night I had the salmon! This was better than the first night!! It's a definite I your trip to here. Excellent atmosphere, food and service. We enjoyed the food, the wine and the service very much. You have a range of wines at very reasonable prices. O purê de mandioca com alho que acompanha o bife Angus Prime é MARAVILHOSO!